The Senior Naturalist Stereoscope offers four magnifications (10x, 15x, 30x, 45x) by using two sets of eyepieces, which are included. The objective lenses are either 1x or 3x, which is changed by rotating the black turret above the specimen. 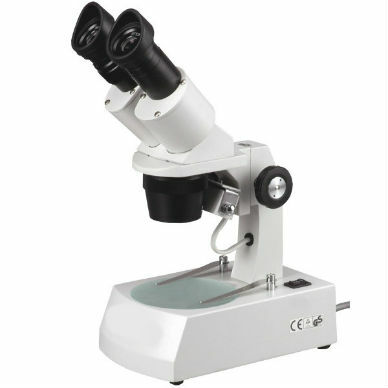 With the 10x eyepieces the resulting image is 10x or 30x. 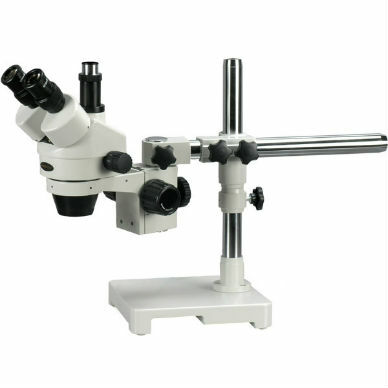 With the included 15x eyepieces, the resulting image is 15x or 45x. You can choose between built-in incident lighting shining down on your specimen from above, or transmitted illumination from below. Includes two stage plates: frosted glass, and two-sided white/black plastic. All metal mechanical parts. 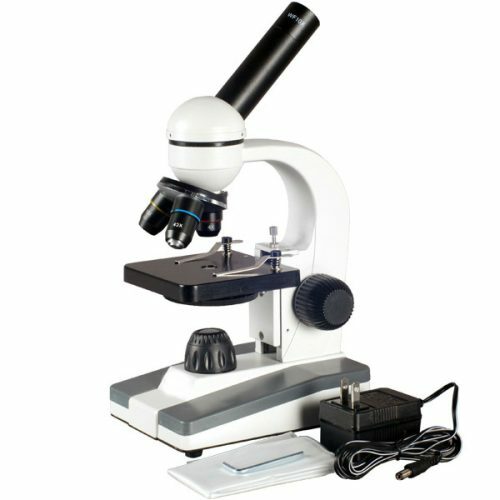 This scope is excellent for inspecting surface details of fine structures of insects, flowers, minerals, rocks, stamps, coins, soldered points, and microelectronic components. 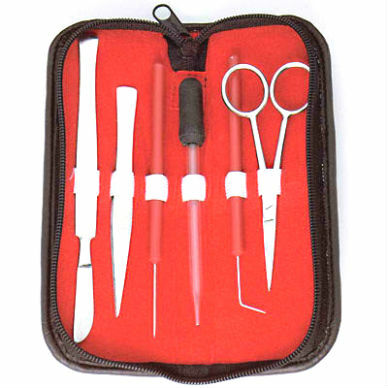 Overall scope dimensions are approximately 4.5″wide, 7.5″ front-to-back, and 13″ high. 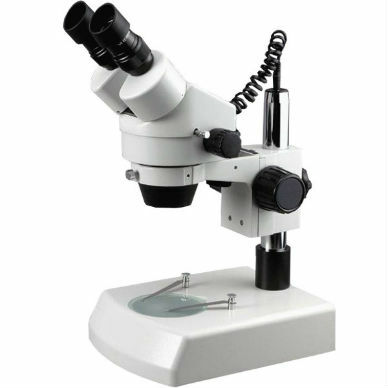 Visit our Learning Center to read about the difference between stereoscopes and microscopes.